ST. MARY’S PARISH was organized by the Benedictine Monks of Conception Abbey in 1891 to serve the “North End” of Saint Joseph. The parish was turned over to the Bishop in 1895. The first building stood at Main & Cherry Streets. Construction of the present Renaissance Revival style building at Second & Cherry began about 1912. Walter Boshen was the architect. The present pipe organ owes its genesis to a small pipe organ built in 1890 by the Moline Organ Co. of Rock Island, Illinois, for the James L. Ellingwood residence, which was located nearby. 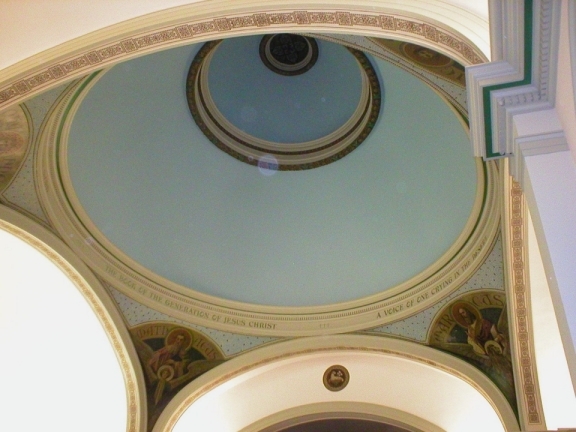 Ellingwood’s son and daughter, James S. (“Jimmie”) and Matilda (“Mattie”) were both organists and took turns playing the organ in the Francis Street Methodist Episcopal Church, South at 7th & Francis. In 1907, he supervised the installation of the Hook & Hastings pipe organ in the present Francis Street First United Methodist Church and paid for the addition of 9 ranks in 1911. At one time the Ellingwood home boasted two pipe organs. 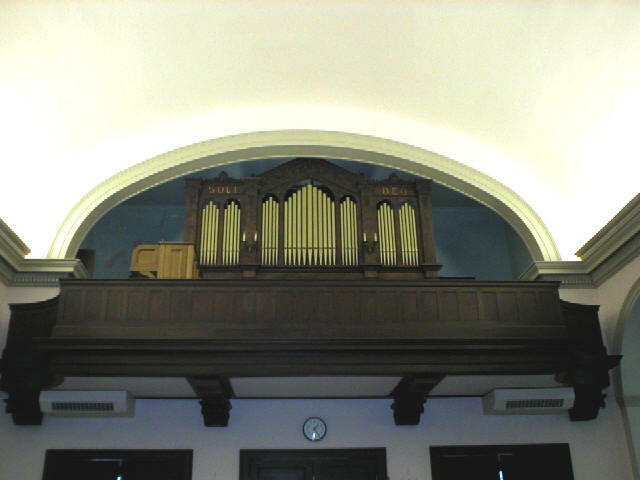 After the deaths of the parents, one of the organs organ, built in 1896 by Hook & Hastings was sold to First English Lutheran Church in 1903, where it served until the present building was built in 1914. It was then sold to the Francis Street Baptist Church, a Black congregation at 10th and Francis, now known as St. Francis Baptist Temple. 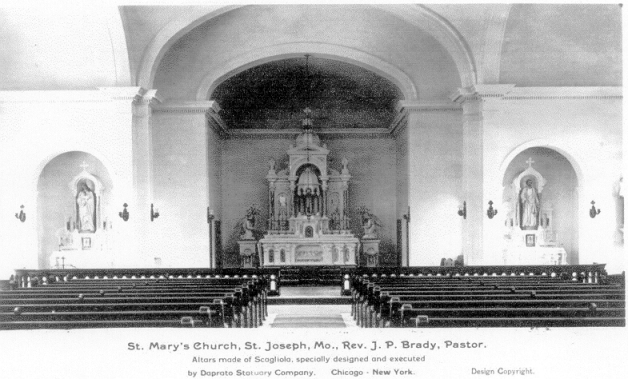 The Moline organ was either sold or given to the Saint Mary’s Parish, for the new church at Second & Cherry. Reportedly, James S. Ellingwood gave the tower bell from the old Francis Street Church to Saint Mary’s, so he could hear it from his home. 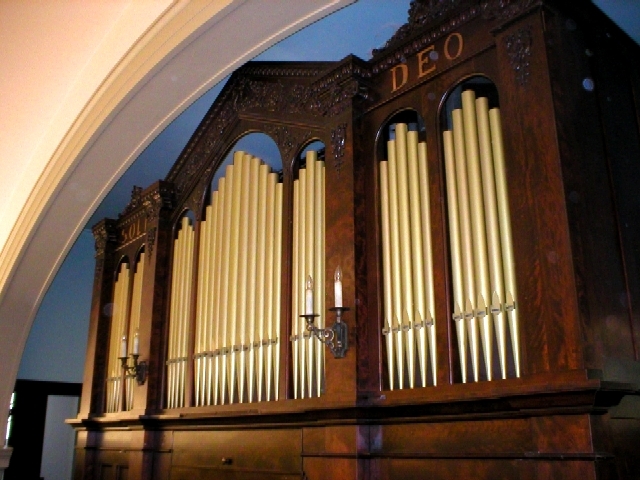 This organ was rebuilt in the mid-twenties by the Bennett Organ Co., successor to the Moline Co., at which time it was re-chested and converted to tubular pneumatic action. The organ was rebuilt again in 1979 by Temple Organ Co., at which time it was re-chested again and converted to electro-pneumatic pitman chests.